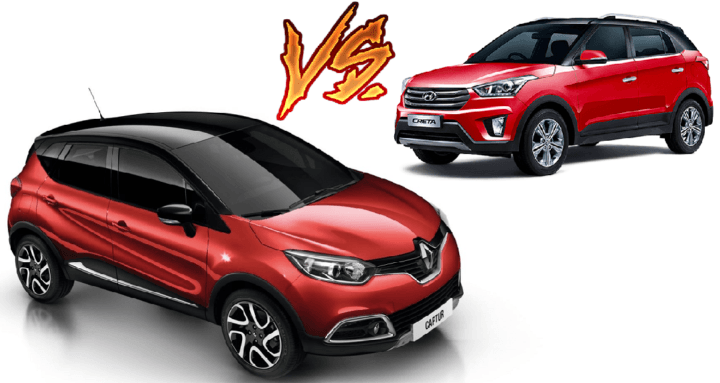 Renault Captur vs Hyundai Creta – COMPARISON! 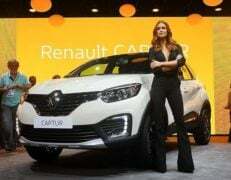 After several delays, Renault India, the Indian subsidiary of the famous French car marque, has finally launched the highly anticipated Captur SUV. The new model is costlier than the Duster and ends up rivaling models like the Hyundai Creta and lower trims of Mahindra XUV500. Of the two, it is the Korean SUV that becomes the biggest adversary to the new Renault SUV. Hence, we have decided to compare the two models here to give you a fair idea of how these two small SUVs stack up against each other. So check out our Renault Captur Vs Hyundai Creta price, specs, mileage, features and dimensions comparison. The biggest reason these two will become such big enemies will be not only because of their price tags but also because of their specifications, dimensions, and even features. The two are closely matched in most aspects. As you can make out from our comparison here, there’s definitely a lot going for both of these models. The Captur finds itself slotted above the Duster in its manufacturer’s product portfolio. 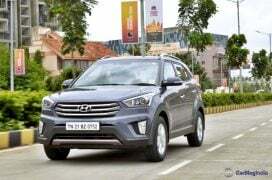 With a starting price of around Rs 9.99 lakh, the new SUV is almost a lakh rupees costlier than the entry-level Creta. 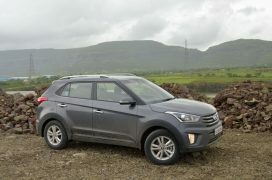 The top-end model costs Rs 13.88 lakh, which makes it somewhat cheaper than the fully-loaded Creta. 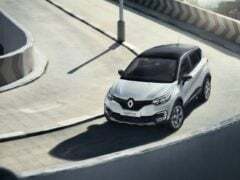 While the Captur will demand a higher starting price, it might still be able to leave a good impression on most new car buyers by offering a fresher design, more features, and an overall more premium feel. In terms of specifications, the Creta will enjoy an upper hand, at least on the paper. While the Korean SUV offers as many as three engine options, the new French SUV offers 2 motors. For the Captur, the engines come from the Duster, which means even the specs remain largely the same. 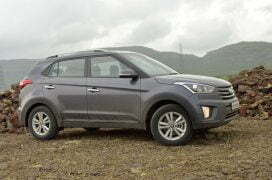 As for the Creta, it offers two Diesel and one Petrol engine. If you compare only the petrol engines, the Creta enjoys a clear advantage. 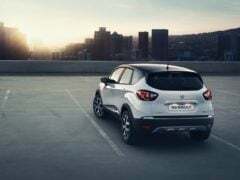 Its 1.6-litre engine offers more power and torque than the 1.5-litre engine of the Captur. On the other hand, the 1.5-litre Diesel engine of the Kaptur, nay, the Captur, is more powerful than the 1.4-litre Diesel engine of the Hyundai SUV here. However, the latter’s 1.6-litre Diesel engine reigns supreme. Transmission options for the Renault model here include a 5-speed MT and CVT for the petrol, and a 6-speed MT and 6-speed AMT for the Diesel. On the other hand, the Creta offers a 6-speed Manual and a 6 cog Automatic Transmission on all models. As the motors for the new Renault SUV here come from the Duster, we have a fair idea of its mileage. We expect the maximum average mileage from the petrol model to be roughly 15 KMPL and from the Diesel, model to be around 20 KMPL. 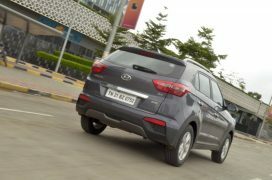 In comparison, the 1.6-litre Petrol variant of the Hyundai SUV here returns a claimed mileage of 15.3 KMPL. The 1.4-litre Diesel offers up to 21.4 KMPL. Honestly, the real world mileage figures will be almost the same. Hence, there is no clear winner of the fuel economy comparison. As is clearly evident from the comparison table above, the Captur is larger than the Creta. That said, the Creta is actually slightly taller and even offers 13-litres of additional boot space. But overall, it is the Captur that triumphs if you compare the dimensions of these two models. Of the two cabins, it is actually the Captur’s that feels roomier. A part of this can also be attributed to the lighter colour tones used for the interior panels. Both the SUVs can carry five occupants in considerable comfort. However, between the two, it’s the new Renault SUV that feels airier and hence, more spacious. Both the SUVs here will offer a lot many features, at least on the top-end trims. 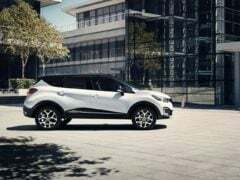 The Captur will offer a 7.0-inch touchscreen infotainment unit that offers Satellite Navigation and Bluetooth. The Captur will also offer Android Auto and Apple CarPlay along with other premium bits like a multi-function steering wheel and leather upholstery. Other highlights will include keyless entry with start/stop button, automatic climate control, auto headlamps, rear wash/wipe, and electric folding rear view mirrors. Even the Creta will offer all of these features on the top-end trims. Both the cars offer a flexible seating arrangement through 60:40 split and folding rear seats. However, none of the cars here offer a sunroof. While not a deal breaker, Indian car buyers seem to have warmed up to the idea of having this feature. While of questionable practicality in a hot country like others, sunroofs do enhance the aesthetics a fair bit. If you compare the safety features of both the SUVs here, it can be easily seen that both the models offer essentials like ABS with EBD and dual front airbags. Both the cars also get seat belts with pre-tensioners. However, none of the models here get disc brakes on all four wheels. Also, another feature that none of the cars offer is a full quote of at least six airbags. Well, both these models qualify to be called small SUVs and are strict five-seaters. However, there’s still a lot of difference in the way they look. While the Creta gets typically Korean looks with really flamboyant styling elements, the Captur is all about sleekness and European flair. Both these models have a daunting stance. However, thanks to larger dimensions, the Captur enjoys more street presence. Both the models come with extra styling bits like stylish alloys, DRLs, and roof-rails. Also, both the cars offer dual-tone paint options. However, like we said, in spite of all the similarities, they look really different from each other. The same can be said for the interior. While the Captur offers cleaner surfaces and clean look, the Creta’s cabin looks more flamboyant. Both the SUVs will offer similar levels of equipment. Hence, there will be little to compare when it comes features being offered. Both the SUVs are strict five-seaters. However, owing to larger dimensions, the Captur will offer slightly more cabin space. That said, the Creta gets to enjoy a slightly larger boot space (387-litres vs 400-litres). Overall, it’s a matter of personal choice, really. Both the SUVs look handsome and have a high street presence. You can go for the Captur if you’re looking for something sleek and easy on the eye. The Creta is all about flamboyance. So, what do you think of our Renault Captur vs Hyundai Creta comparison? Do you want us to compare any other parameter? Let us know by penning your thoughts in the comments section below.